Spoiler Alert: If you haven’t seen “Battle of the Bastards” yet, we really don’t think you’re in a position to be concerned about spoilers. At Mekanic, our content team understands that a brand’s messaging deserves an entire universe to play in while we form it and flesh it out. We try to live in that universe for awhile during our discovery process, and are often surprised to see what else lives there. Competitors? Unanticipated obstacles to organizational success? Keywords and phrases that illuminate everything? Dragons? As we develop core brand messages—we’re focused on creating a foundational story that will set the tone for design work. It’s the initial sketch of how a brand will present itself to its audiences in the clearest way possible. We’re also trying to describe as closely as possible what we see in that universe, and what’s at stake for both internal players and external audiences. There is a special messaging recipe that we use to bring a brand’s story to life, and I want to share my favorite way of keeping it all straight: Core Brand Messaging, Battle of the Bastards Edition. Think of Jon Snow and Tormund when they’re about to get absolutely squished to death by that crazy shield pincher move. Purpose is what you do differently to go above and beyond on strategic and tactical levels for your audience. Sometimes there is mud. Sometimes it feels like it’s in slow motion. Sometimes, you’re the Knights of the Vale riding in to save the day. There is so much to root for, and so much to overcome. It’s your execution—and the value you create for your audiences that satisfies a well-articulated need. Remember the chills you had when the Stark banner unfurled over the walls of Winterfell after all those years? Your Brand Promise is reason why the execution matters—it’s what you delivered for your audiences when there was really something at stake. Beyond the value itself that you delivered, what does that value add up to on a larger scale? What does it enable your audiences to do? How does it make their lives better? What can they do with that? “Winter is coming.” A great tagline communicates the central goals and concerns that link your identity to your audience. It’s like an aura floating around and complementing your identity. It says so much beyond just a few words. It’s visceral. Speaking of goals, the North Star represents your ideal endgame. Beyond the day-to-day (or even 5-year) business goals of your organization, what’s the aspirational achievement you’re working toward that everyone should care about, regardless of whether they’re in your target audience? It’s possible you share this goal with other competitors. If it’s taking down the Night King, eliminating the Lannister threats knocking on your door, or even kicking that pesky greyscale, reaching the North Star means that you don’t need to do what you’re doing anymore. The story could end happily there. Even if your brand is unlikely to accomplish it in the next 15 or 50 years, you know that it’s still worth doing because it’s the right thing to do for the audiences you serve and the world at large. 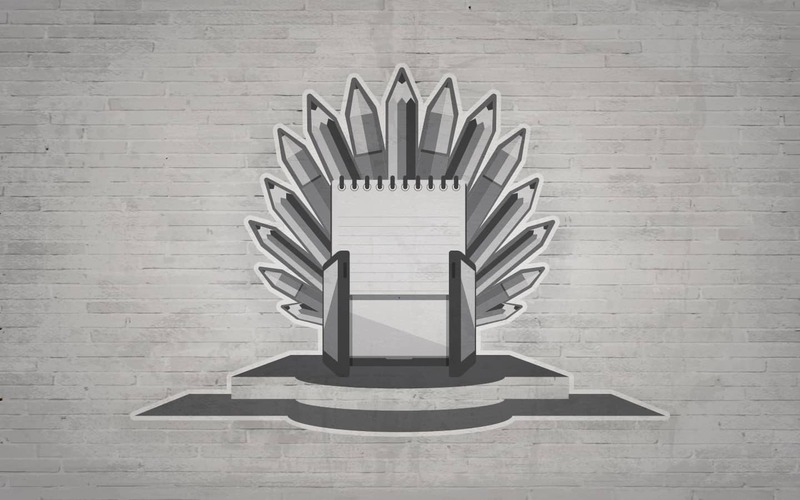 What can we take away from Westeros to bring back to the world of branding? Great brands come from great stories, and they aren’t afraid to embrace flawed characters or imperfect situations. Why? Flaws are relatable—obstacles too. It’s exciting to witness a hero overcome those obstacles—or better yet, feel that you’re becoming the hero yourself as an audience member. Could your brand use a cult following? Let’s talk about it.